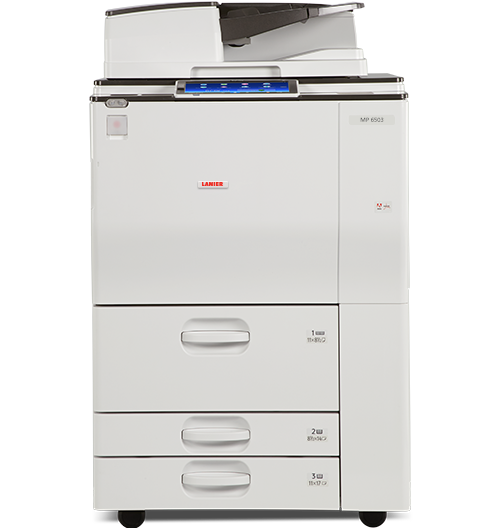 Print up to 80 color pages per minute (ppm). Scan originals and distribute them electronically via multiple scan-to options. Use optional paperless faxing to send documents via email and save on hassles and transmission costs. The motion sensor recognizes your approach and activates the Smart Operation Panel so you can begin as soon as you reach the touchscreen. And you can print larger jobs by expanding paper capacity from 3,700 sheets up to a remarkable 8,100 sheets. With the Smart Device Connector app, you can use your personal mobile device to print wirelessly. There%uFFFDs no need to be at your desk %uFFFD you can print files from your device or from your favorite cloud applications on demand. You can also send files from the MFP after scanning directly to your device to take with you. Use Workstyle Innovation Technology to transition between tasks and jobs with touchscreen convenience. With multiple user interfaces to choose from, you can take advantage of one-touch access to both core and specialized tasks. Check settings, search for information and download workflow apps easily. You can even customize workflows for specific tasks to reduce manual steps. For your most complex workflows, add Streamline NX, Nuance® AutoStore® or other optional workflow software. Store up to 3,000 documents on the Document Server. Grab them in moments for on-demand printing. Place metadata on your files via Optical Character Recognition (OCR), and use keywords to locate them quickly. With the embedded web browser, you can print information found online or from cloud-based storage sites. Create impressive brochures, proposals and more with breathtaking colors at up to 1200 x 4800 dpi. Take advantage of PxP-EQ toner technology and continuous calibration. Load more types of media, including envelopes, thicker stocks and print banners up to 49.6". Use full-bleed printing on three edges for signage. With user authentication, users log in to perform MFP functions via passcodes, billing codes or by passing a proximity card by the optional Near Field Communication (NFC) Card Reader. You can track who prints what and issue chargebacks via Device Manager NX Accounting. Take advantage of multiple administrative tools to monitor the device and other enterprise devices remotely. Designed for low Typical Electricity Consumption (TEC), the MP C8003 is ENERGY STAR® certified and meets EPEAT® Gold criteria. Program the MFP to power down when the office is empty. Cut paper usage in half with duplex printing. Set print quotas. And check your paper usage from the Eco-Friendly Screen.